Lift Operators required in Whistler Blackcomb for the upcoming season! This is an outdoor role that involves manual work in helping skiers and boarders get their equipment on and off of the lift and being in control of all operations at your assigned lift. Staff Discounts on retail, rental and food & beverage. Apply now to come and meet the Whistler HR team and score a great job! Must possess excellent employee and public relations skills and be of a friendly and cooperative nature. Must be mature, energetic, dependable and self-motivated. Must be able to reason and react with quick, thoughtful judgment, while remaining calm under pressure. Must be capable of performing physical/manual duties. It goes without saying that Canada is renowned around the world for its unforgettable winter seasons. Deep powder, thriving nightlife, untracked terrain and breath taking scenery are what make it so special. Whether you’re taking the plunge alone It goes without saying that Canada is renowned around the world for its unforgettable winter seasons. Deep powder, thriving nightlife, untracked terrain and breath taking scenery are what make it so special. Whether you’re taking the plunge alone or with a group of mates our Powder Package is your one-stop service to the most memorable experience of your life. 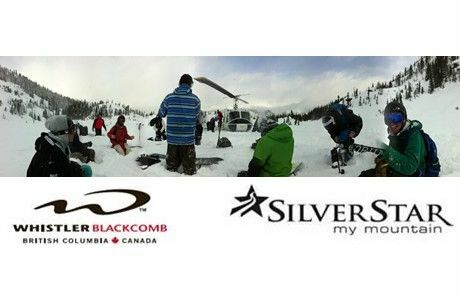 TWHC in Europe work with Whistler Blackcomb & Silver Star; the best jobs in the best resorts.. We are the experts in planning and executing the perfect Canadian working holiday, hit the ground running and don't waste any time or money on arrival. With tens of thousands of young people flocking to Canada from all over the world to enjoy a ski season, it is a good idea to secure employment before you leave - not only to save yourself from disappointment but also a small fortune. TWHC arranges employment opportunities in a variety of departments including retail, rentals, ski school, central reservations, lift/base operations and food and beverages. All positions provide full training and offer great benefits including housing, competitive wages, staff discounts, free lift passes and invitations to social events and parties. What makes our Powder Package most convenient is that all of this is organised at our annual recruitment fair; where you will also have the opportunity to meet and discuss your options and possible placements with our resort partners in person - Yes, they come to Europe to meet you! If you are looking for a winter of fun in a Canadian ski resort, then the exclusive agreements we have with the resorts will guarantee the Powder Package is the only one to consider. Season lift pass - Value CAN$1800. Program fee refunded - if not hired (less deposit). Can you afford not to join the Powder ? Apply below now and start to make a plan today.